In September 2014, Keppel Land held the preview for one of its new launch condos, Highline Residences and saw an sale of 149 in total out of the 160 residential units released. This new launch condo is located on Kim Tian Road within the Tiong Bahru condos area and it consists a total of 500 residential units with maximum height of 36 levels. During the preview, units were transacted from a range between S$1,627 psf to S$2,245 psf. Since then, the showflat has been closed with no plans for a relaunch yet. However in January, a transaction was caveated for a 3-bedroom unit (1,109 sqft) on the 9th floor for S$1,724 psf or S$1.91 million. 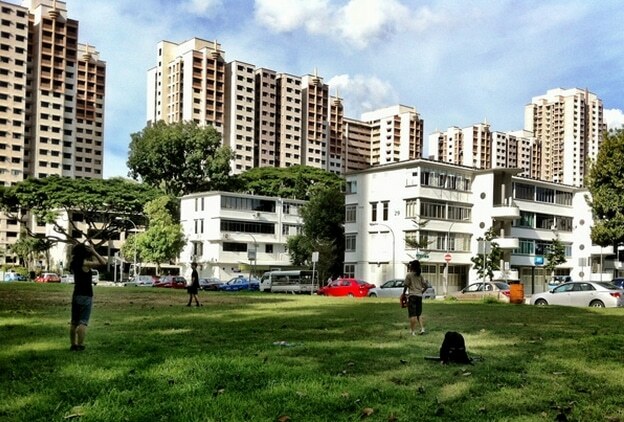 The residential site was bought for an estimated S$1,163 psf ppr on 23 April 2013. According to calculations, the estimated breakeven cost for Highline Residences at Kim Tian Road is around S$1,670, however it remains to be seen if Keppel Land will make changes to the selling prices of their units, and unlikely downwards. If this pricing persists, new launch Highline Residences will be setting the benchmark for property prices among the Tiong Bahru condos area despite the challenging property market situation. This probaly explains the low number of transactions in the area for 1st half of 2015 as some of the property owners are holding on to their asking prices or inflating them. It was being mentioned that this probably may not be the most ideal strategy and property buyers and tenants have quite a number of options when searching for properties within proximity to MRT stations and shopping complexes. In the present market, price point is always the sensitive issue. Furthermore, with the tigher restrictions set on home loans and the uncertainties in the property market, it will furhter deter buyers or tenants to pay more for their property needs. Despite the favoured location of Tiong Bahru among most property buyers, the neighbourhood is also facing tough competition from properties in other city-fringe locations, namely Dakota, Potong Pasir, Lavender etc. Not just other locations, Highline Residences condo is already facing a price war with other condominiums within the vicinity. A example will be Meraprime, a 213-unit 99-year leasehold condo at Jalan Bukit Ho Swee where a 3-bedroom unit on the 18th floor recently changed hands for only S$1,423 psf or S$1.67 million. Another development completed in 2007 named Twin Regency, which consists of a total of 234 residential units, saw 2 resale transactions in 2015. Each unit was transacted at only S$1,295 psf (or S$2.3 million) and S$1,391 psf (or $2.95 million) respectively.